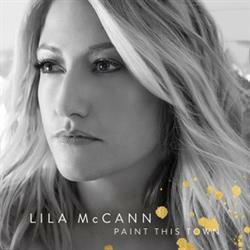 NASHVILLE, TN--(Marketwired - December 05, 2016) - Nearly 20 years after taking country music by storm as a 15-year-old sensation with her hits "Down Came a Blackbird" and "I Wanna Fall In Love," singer-songwriter Lila McCann (www.lilamccannmusic.com) is launching a PledgeMusic campaign centered on her highly anticipated upcoming EP Paint This Town -- her first recordings since 2008. The campaign, which kicks off Monday, December 5, includes a pre-sale on both the digital and album versions of the EP, a fully independent project tentatively set for release in late March 2017. Those purchasing the recording at its $9.99 retail price will receive a unique bundle of exclusive merchandise and content from Lila, including four newly recorded acoustic versions of classic Christmas songs and an access pass to special content the singer will be adding to the site -- new videos, 8x10 photos, etc..
Those contributing higher amounts will receive other bonuses, including a mention in the CD's liner notes, an acoustic house concert and a limited series of photographs taken by the artist, who has enjoyed a second career in recent years as a professional photographer. Lila penned the songs on Paint This Town with her longtime songwriting partner Bruce Wallace, who has written songs for, among others, country superstars Trace Adkins, Dierks Bentley and Montgomery Gentry. The album was produced by Lila, Wallace and Nashville studio bassist Mike Wolofsky, who has recorded numerous hits with Cole Swindell. PledgeMusic is the leading, global direct-to-fan platform, and the only crowdfunding website dedicated to raising funds for musicians and musical artists. It is dedicated to empowering artists, labels and brands to build communities, fund and pre-sell recordings and provide unique experiences throughout the entire music production and promotion life cycle. Lila's platinum selling debut album Lila became the highest selling album for a debut country act in 1997. She followed with 1999's gold-certified Something in the Air and 2001's Complete, then later released five singles with the independent label Broken Bow Records.